Blades are high quality stainless steel. The light source provides a high level of illumination and can be easily removed. While the distance from bulb to tip protects from accidental burns. 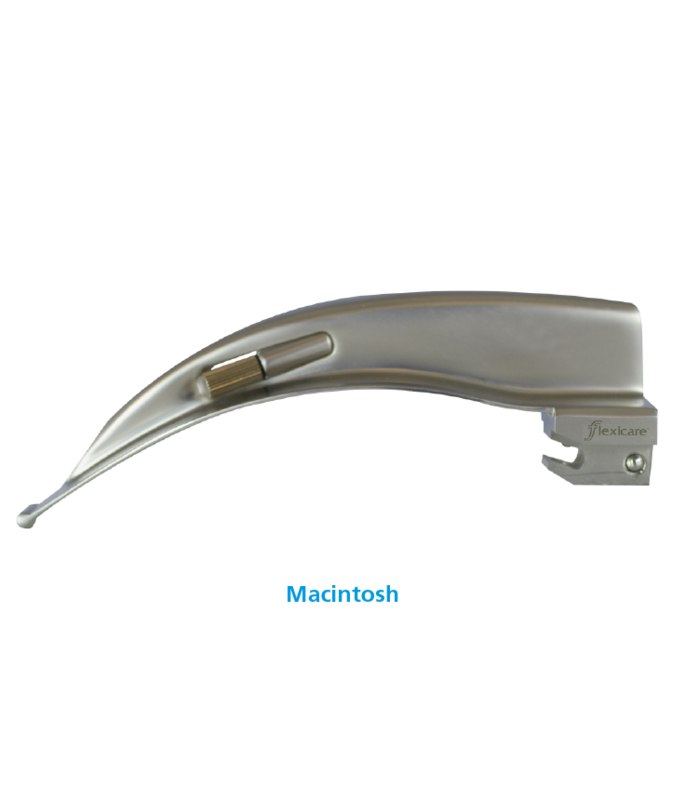 Our speciality blades offer a complete choice for all intubation requirements. 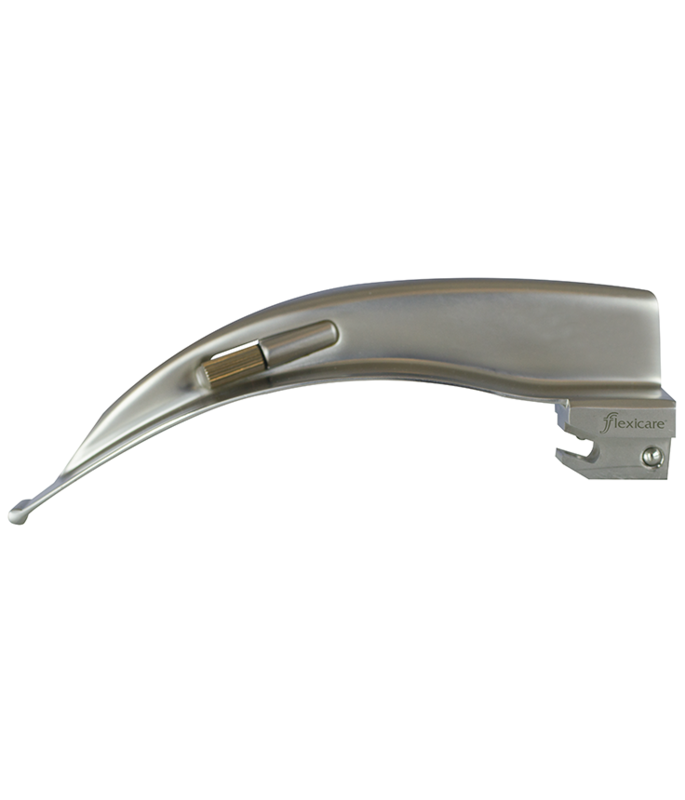 Curved design allows the tip to be guided to the epiglottic vallecula for direct visualisation of the glottis whilst holding the tongue to the side for direct vision of intubation. The shallow curved tip provides greater control in patients with a larger epiglottis, such as in paediatric patients. 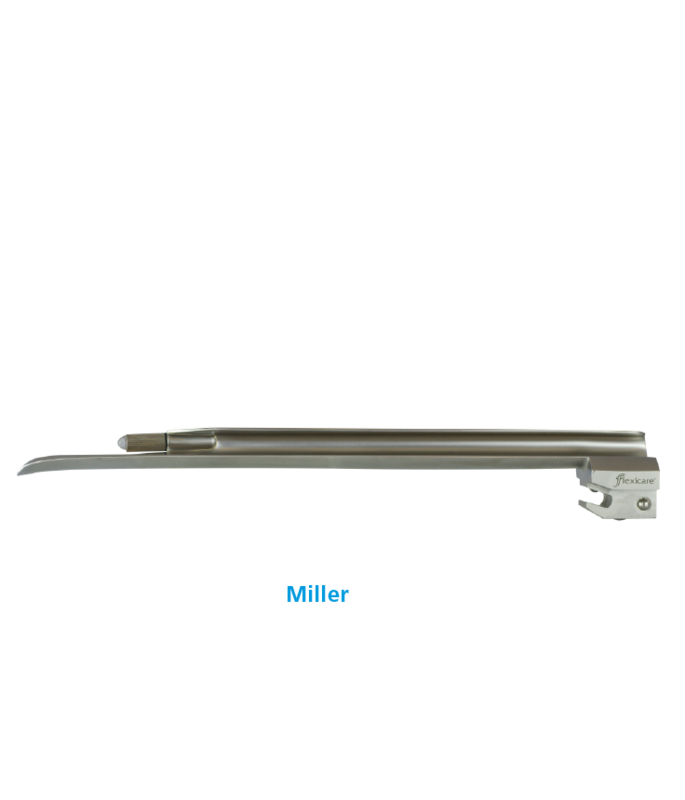 Infant and neonatal Miller blades also available with a delivery port to provide supplementary oxygen during laryngoscopy. The Flexible blade has a hinged tip operated by a lever mechanism. This elevates the epiglottis while reducing amount of force required. Shown to improve the view during difficult intubations and in patients wearing cervical collars. 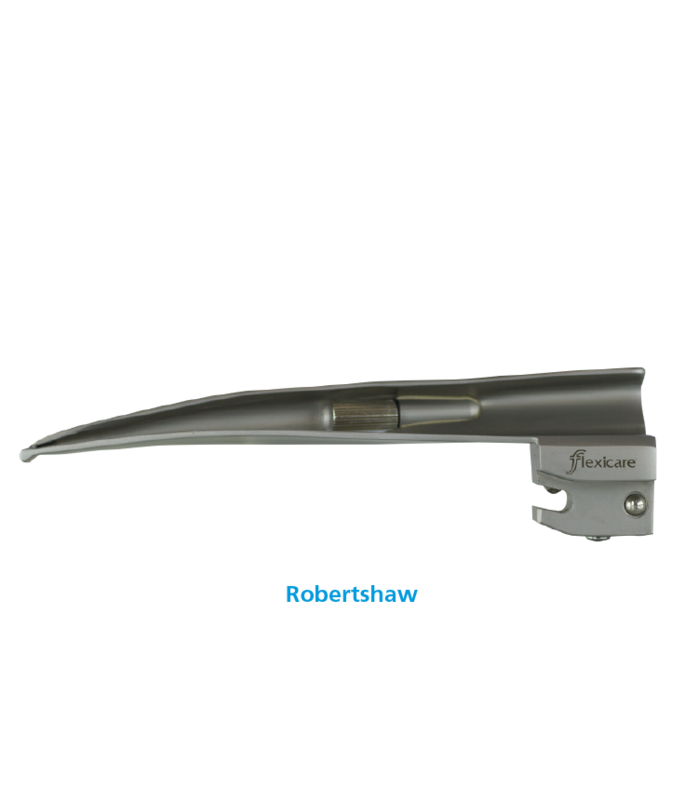 For neonatal and infant use, Robertshaw blades feature a gentle shallow blade curvature to lift the epiglottis indirectly in a similar way to Macintosh Blades. 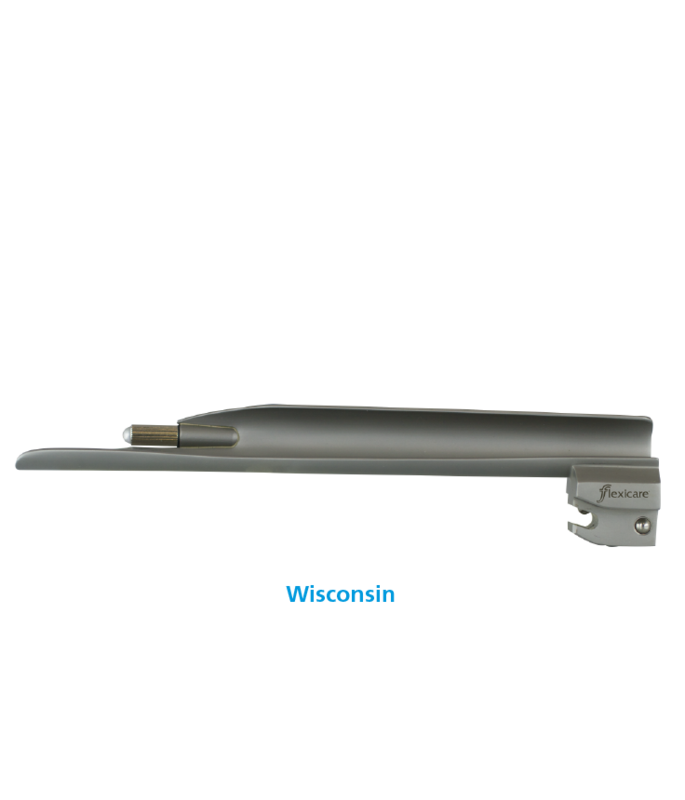 Originally an infant blade for asphyxia neonatorum, also used for paediatric patients. 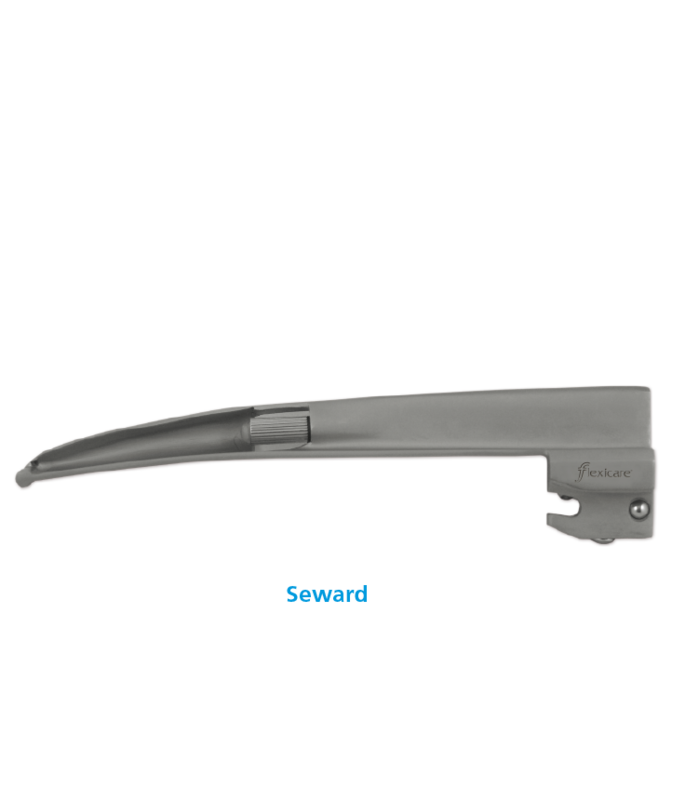 For neonatal and infant use for an improved view and greater control of the epiglottis with a subtly wider distal end than a standard Miller Blade.